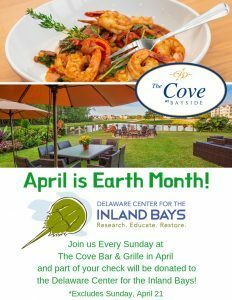 Overlooking the 18th green, The Cove Bar & Grille offers stunning lakeside views and a casual dining menu that is sure to delight the whole family. 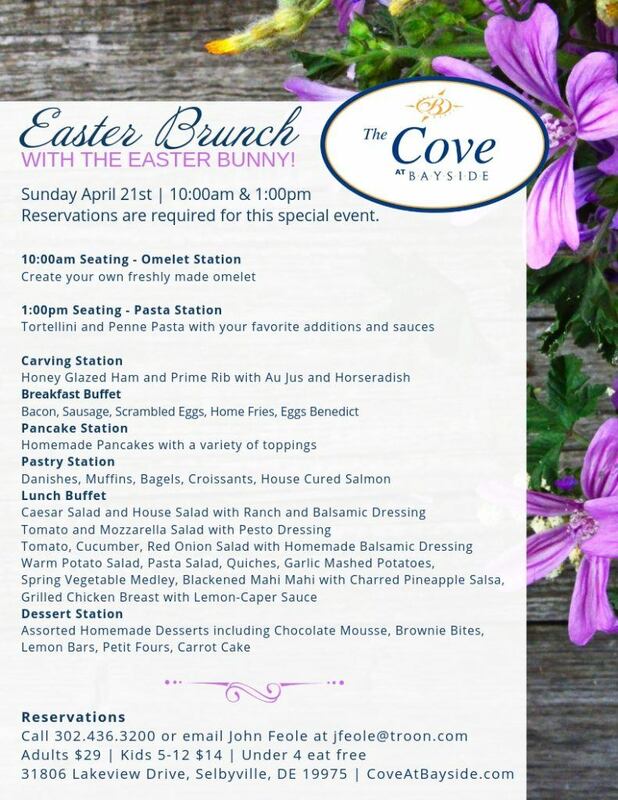 You can’t miss The Cove’s delectable menu offerings or s’mores by the fire pit. Stop in after your round of golf to enjoy our legendary Orange Crush or a local brew. Open to everyone! Join us every day for delicious happy hour specials! Click here to view the menu! Join us every Monday for 50% Off All Entrees (not including sandwich and salad items) and our delicious Crabcake Dinner on special for $19.00! You do not want to miss our popular trivia night! Delicious food specials rotate weekly, making it a wonderful evening! Join us for Bingo Night every Wednesday! Lots of prizes and happy hour extended all night long! Three-Courses for $25 with a Glass of House Wine. Also, enjoy Half-Priced Bottles of Wine! Enjoy delicious, local seafood and Chef’s pick of international cuisine is featured each week. Huge food & beverage specials! Dance the night away with Dawn and the Rewind. $5 cover.